Many residents of Ibadan, the Oyo State capital are counting their losses following a torrential rainfall that flooded no fewer than 30 houses and a Church in Ososami, Oke Ado, Liberty Road and Oke-Ayo areas on Sunday, NAIJARAY reports. NAIJARAYgathered that many residents on Monday started relocating from those areas. Some of the victims of the flood have been rendered homeless as they claimed they had no other means to secure new apartment. 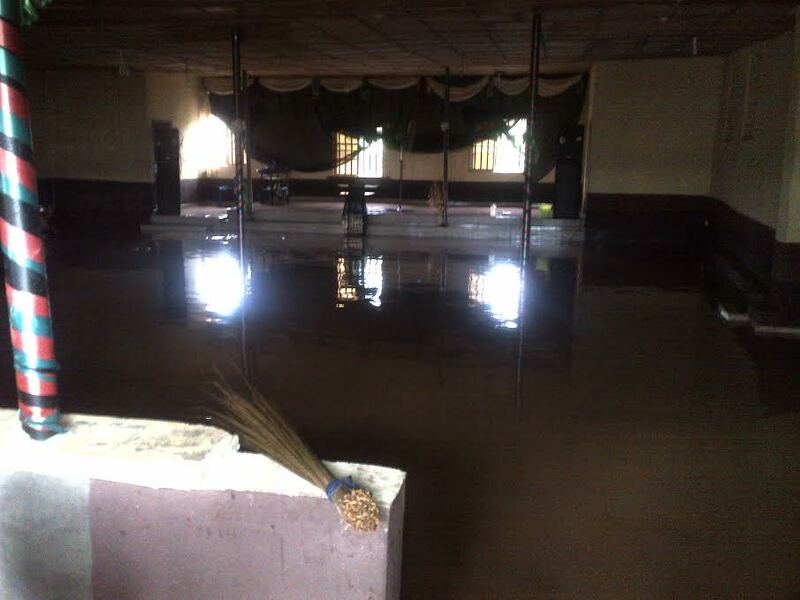 Property worth several millions of naira went down in the ravaging flood from the Ogunpa River. It was learnt that the downpour, which started around 4.30 p.m. on Sunday, lasted for about four hours, leaving many areas flooded. Some of the affected property, included a two storey-building and a church (Christ Apostolic Church) at Omigade street, Osasami in Ibadan South West Local Government. Another resident, Mr Aminu Momoh, who blamed the flooding on indiscriminate dumping of refuse on waterways and construction of buildings near water channels, thanked God that no life was lost in the flood. According to him, the story would have been different if it had happened in the night. At the Christ Apostolic Church building on Ososami, members said they were full of gratitude to God that they were not in service when the incident occurred.